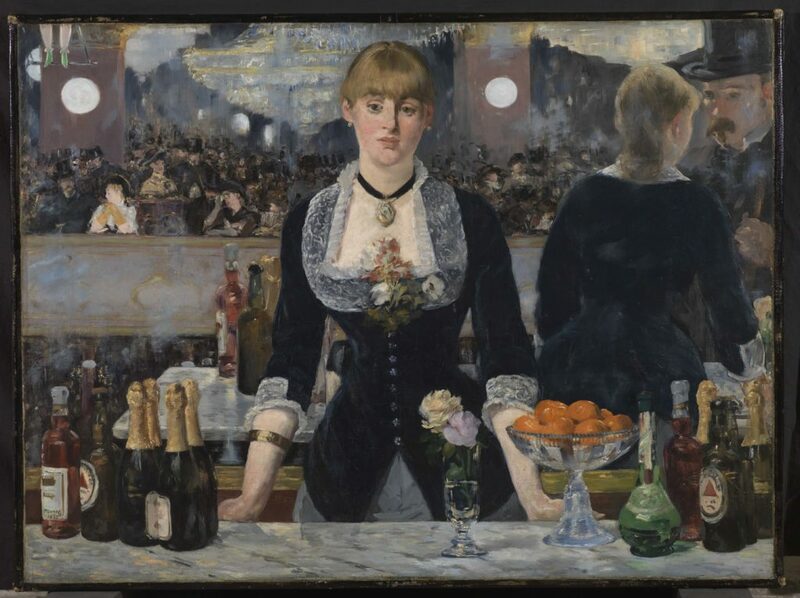 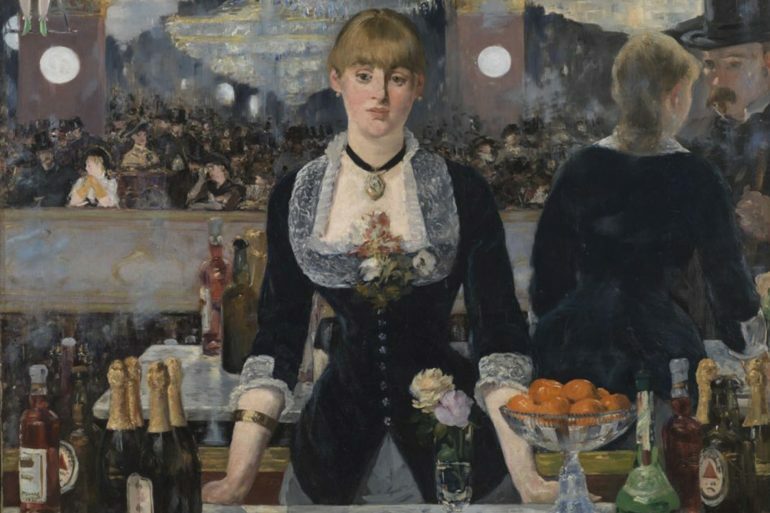 Edouard Manet, A Bar at the Folies-Bergère, 1882. 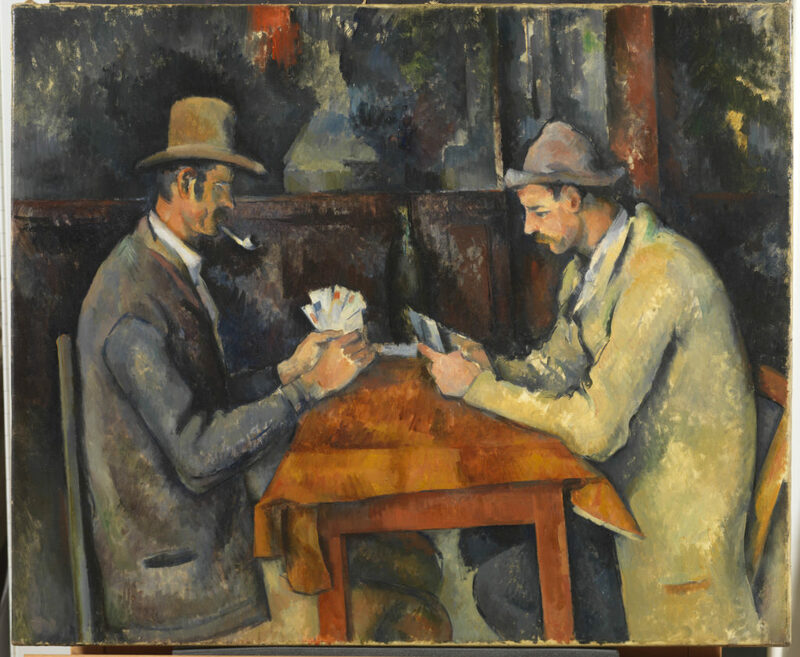 Paul Cézanne, The Card Players, ca.1892–1896. 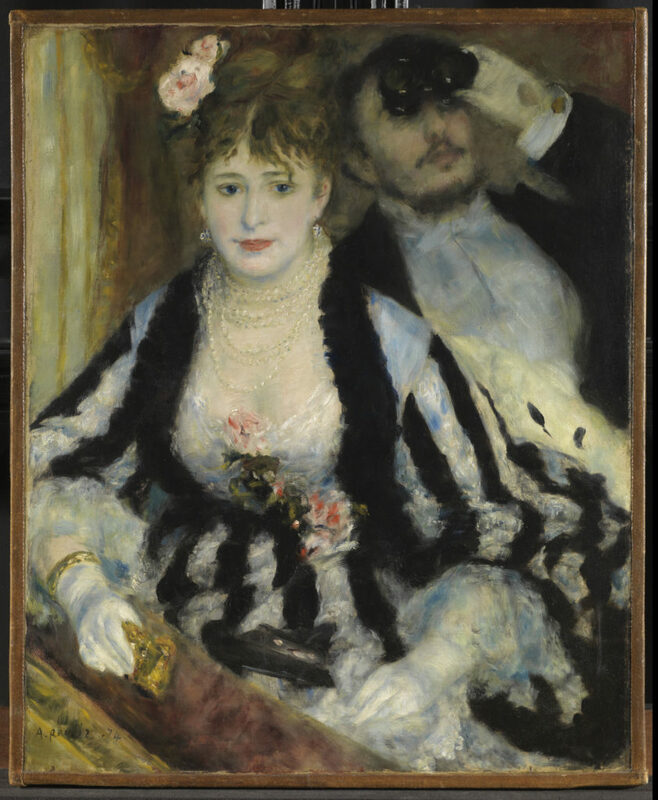 Pierre-Auguste Renoir, The Loge (Theatre Box), 1874. 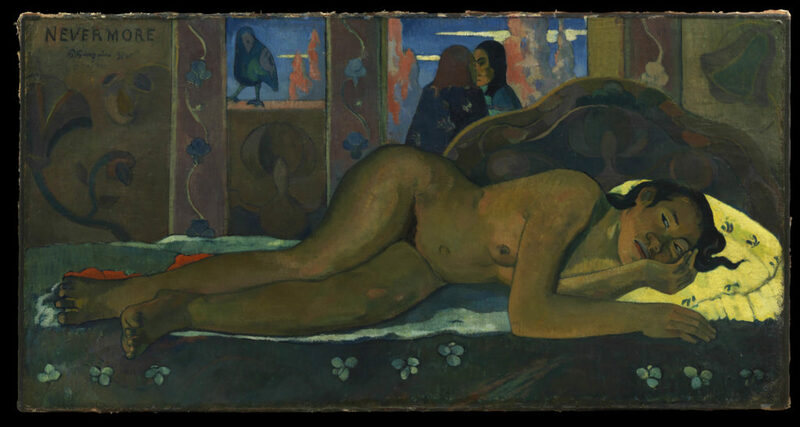 A Wheatfield with Cypresses, Van Gogh, 1889.